Not everyone is born to serve their country; it is a calling. There is a strength, unwavering and committed, to every military veteran maintaining the essential respect and compassion for their fellow man. 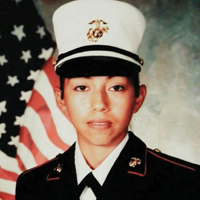 Guadalupe Hernandez has lived a military life filled with tragedy and triumphs. 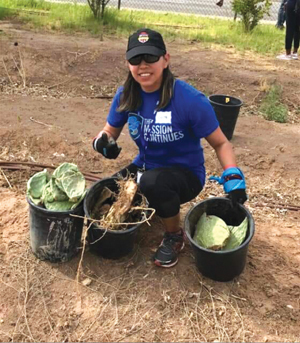 She has given herself to her country and continues to serve Fort Bend County. Hernandez has lived in Fort Bend County for 10 years. She has two children, Alexis and Luis. Her first love when she joined the Marine Corps was her boyfriend, Jairo Cruz, also a Marine Corps Veteran. They dated for two years and decided to end the relationship due to his deployment, but destiny brought them back together 16 years later. After the Marines, Hernandez received her bachelor’s degree in Criminal Justice in only 2.5 years. Then in 2015, she earned her master’s in Criminal Justice. She is currently a Probation Officer with the Harris County Misdemeanor Veteran Treatment Court. Thank you Guadalupe Hernandez for the strong warrior spirit you exemplify. You are an amazing individual who unselfishly donates your time to improve the lives of fellow veterans.